Bullitt Group has enlisted Circle Agency to devise a retail pop-up for its two-year sponsorship of the Bullitt GC32 sailing race, which houses products by brands including Kodak and Ted Baker. The pop-up is housed in a shipping container, which Circle’s in-house design and production teams have designed and fitted out. It showcases products from each of Bullitt Group's core clients - Kodak, Ted Baker, Ministry of Sound, JCB and Caterpillar - and it is complete with a roof terrace which is used to host VIP drink receptions and performances from Ministry of Sound DJs. 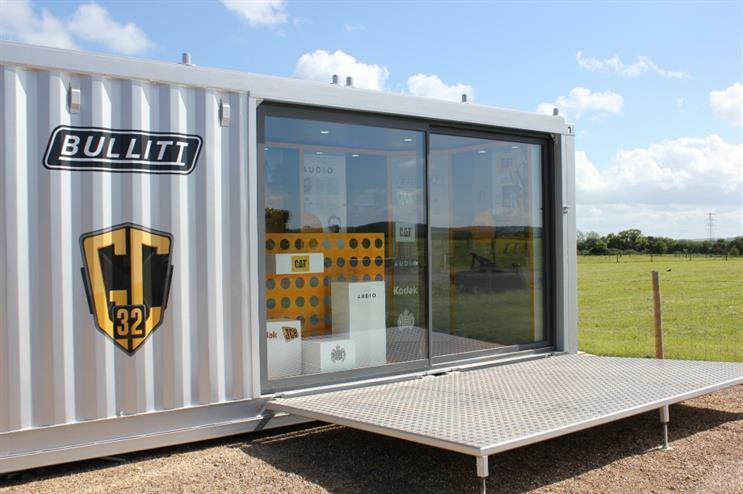 The pop-up is designed to drive awareness of the Bullitt Group brand, as well as drive sales of its products, which include bespoke electronic goods such as speakers, headphones and mobile phones. The Bullitt GC32 tour kicked off in late May in Austria and it will travel to England, Germany, Italy and finally France on 30 September to 3 October. The pop-up will stop off at each race location. Claire Stokes, managing director, Circle Agency said: "Bullitt develops ground-breaking products for some of the world’s most well-known brands, but its own brand identity is often hidden from the end buyer. The GC32 sponsorship is the ideal place to raise awareness of their work. "The shipping container pop-up mechanic provides visual stand out at the event sites, and is easy to transport across Europe. We’ve created an environment that reflects both Bullitt's – and its clients' – brand aspirations and this is already translating into sales and awareness." Dave Floyd, co-chief executive of Bullitt Group, added: "GC32 foiling catamarans are the exciting innovation in sailing and we wanted to be involved in this new tour from the start to help influence the way the sport is going – exactly as we have within the mobile and audio industries for the brands we work with. The races are the perfect platform to showcase our devices in fantastic European locations throughout the summer."